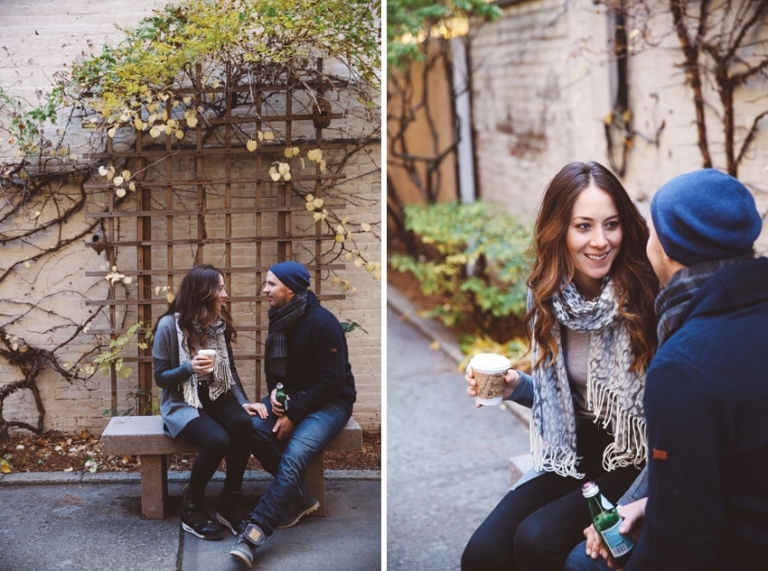 Gemma and Keiran are world travelers but they wanted to have their engagement session in New York, as close as possible to Governors Island where he actually proposed. Being off season and Governor’s Island closed to the public we suggested to shoot on the Brooklyn Heights Promenade, from where you can see the Island. 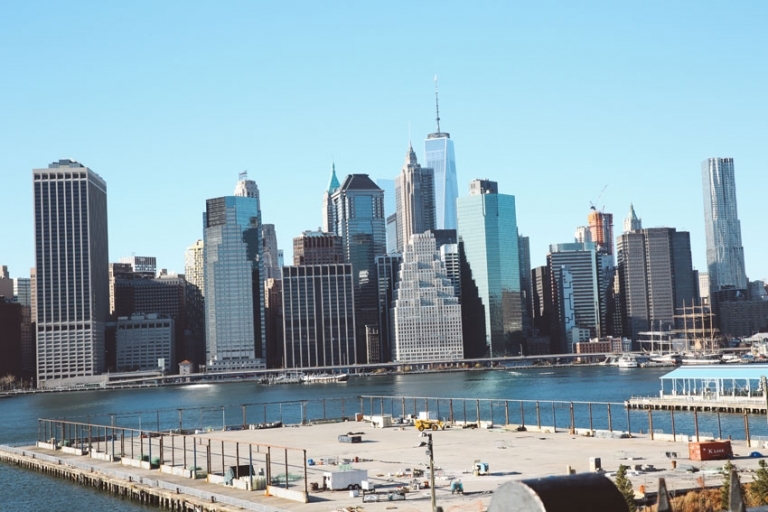 The promenade offers wonderful views of Manhattan’s skyline too! And the whole area is gorgeous, with charming streets and amazing brownstones, some of the oldest houses in New York.